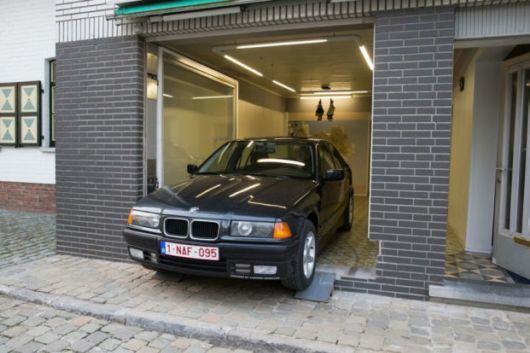 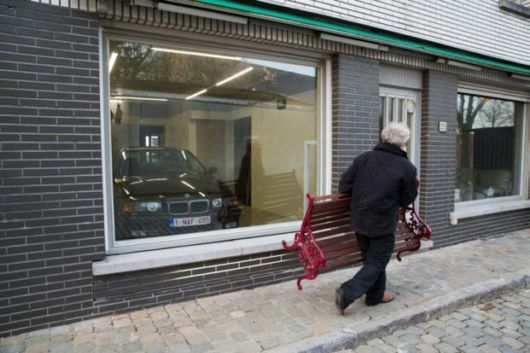 After his food shop closed Eric Vekeman from Belgium decided that he’d like to put a garage in it’s place, however the council disagreed. 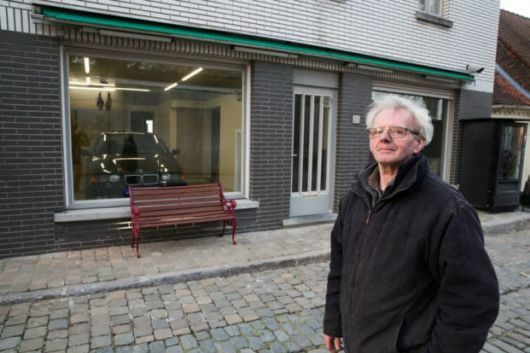 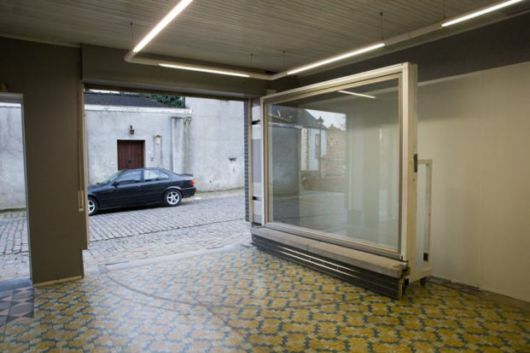 Refusing a permit for Vekeman to create a garage where the shop once stood on the grounds that it would spoil the townscape he took things into his own hands and built it anyway. 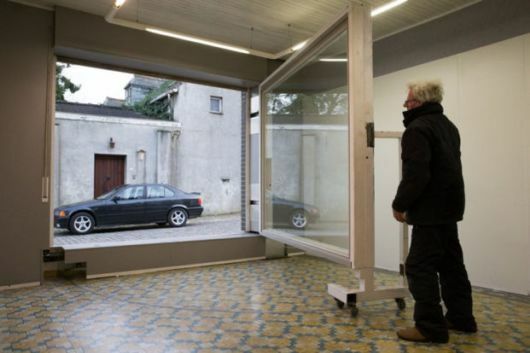 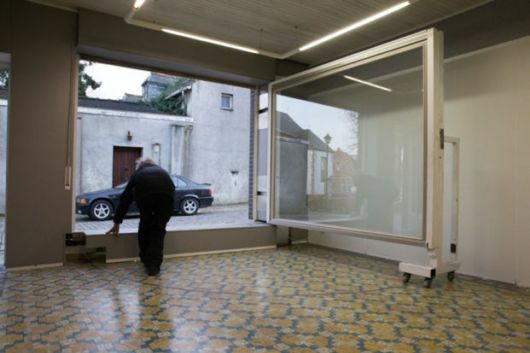 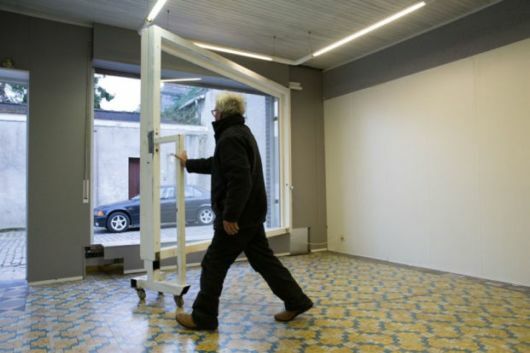 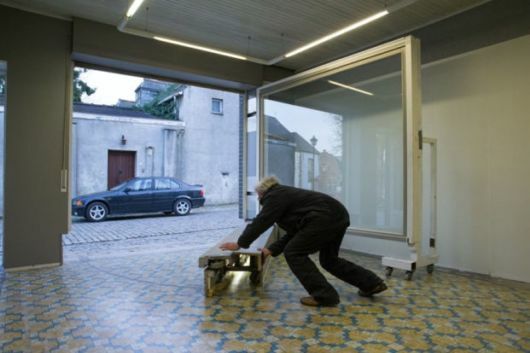 Thinking outside the box he’s come up with an invention that disguises the garage door as a regular shop window and despite it looking fairly complex says that it takes less than two minutes to open. 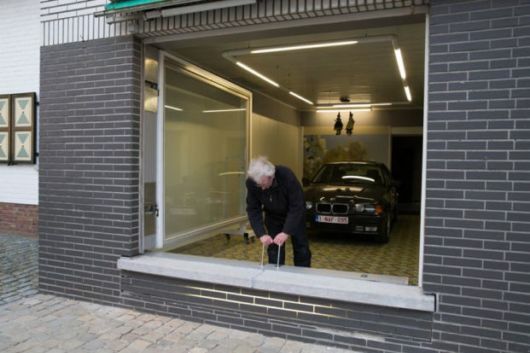 In the future he hopes to make the door automatic.